It’s been quite a while since I’ve posted anything, and I’ve had a lot going on. 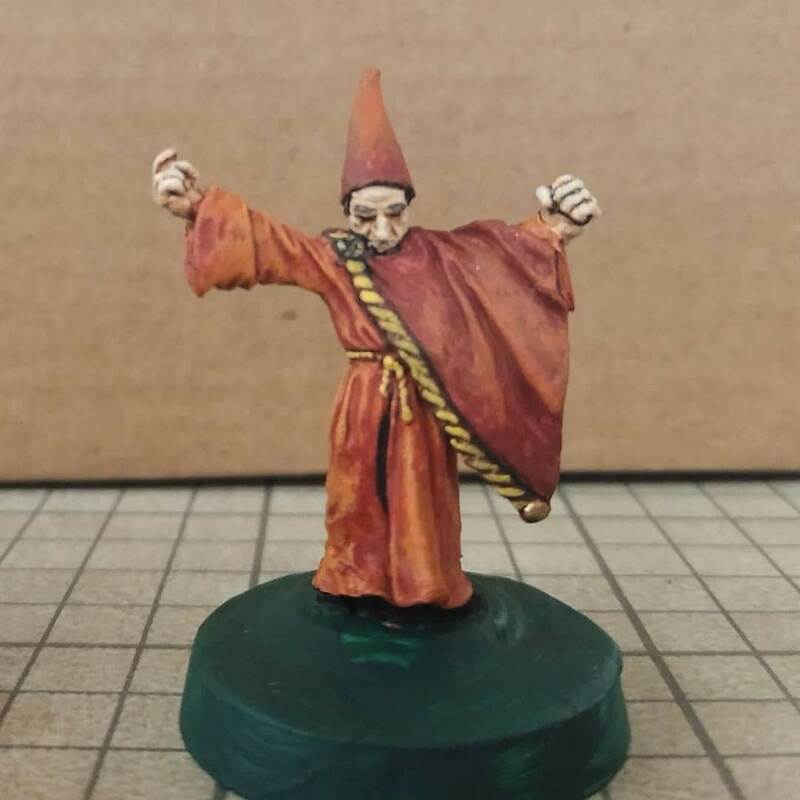 I did manage to paint a few more miniatures. Some of the photos include a penny for scale since I posted the pics to social media where not everyone knows what the hell these are. First up, some undead rising. 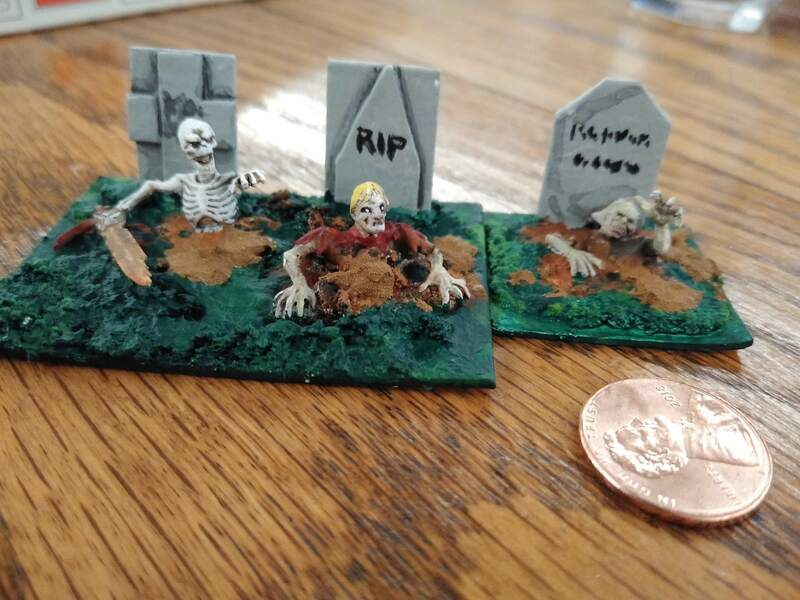 I had a bunch of spare parts from some kits so I cobbled them together with gravestones made of bits of matte board. 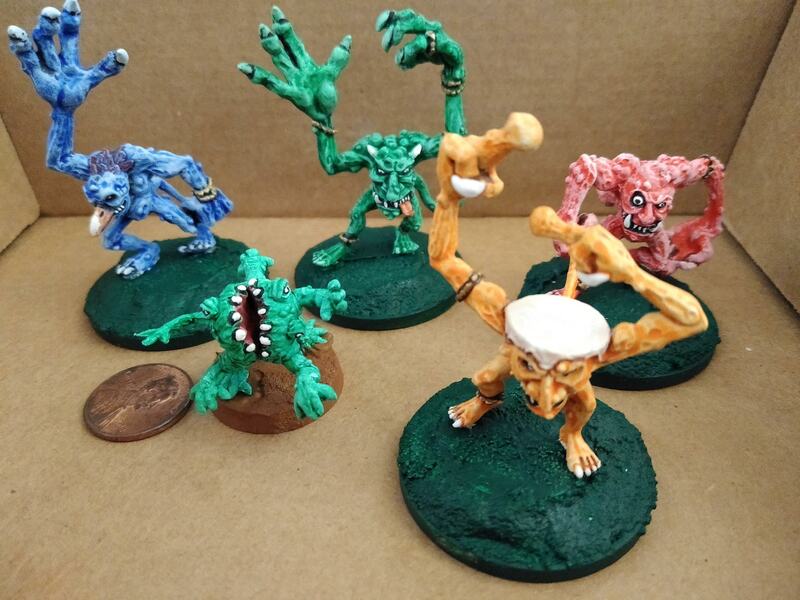 I’ll need to flock the bases some day. Next up, some barbarians. The two on the left are plastic, from board games, while the two on the right are metal. 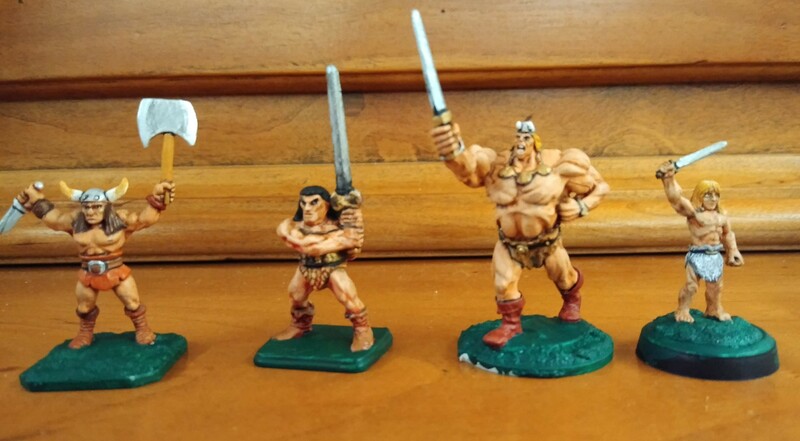 The big guy is a spoof of Thrudd the Barbarian (himself a spoof of Conan), while the little guy is a VERY old Ral Partha sculpt from when 25mm scale meant 1/72 scale. 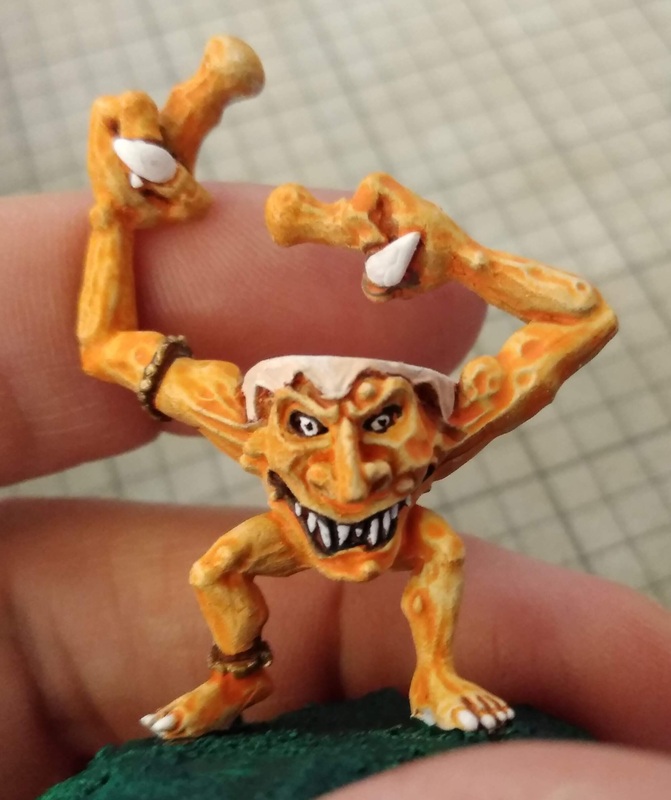 He’s now sold as a “young barbarian” and still in production! I had an older casting from a box set but it was one of the many lost in a tragic incident I’ve mentioned before. 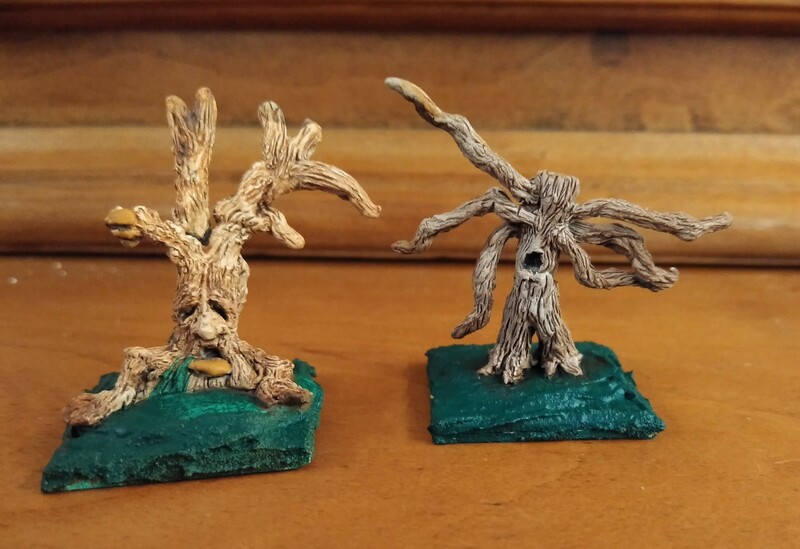 Next up a couple of plant monsters from the TSR line of AD&D minis. 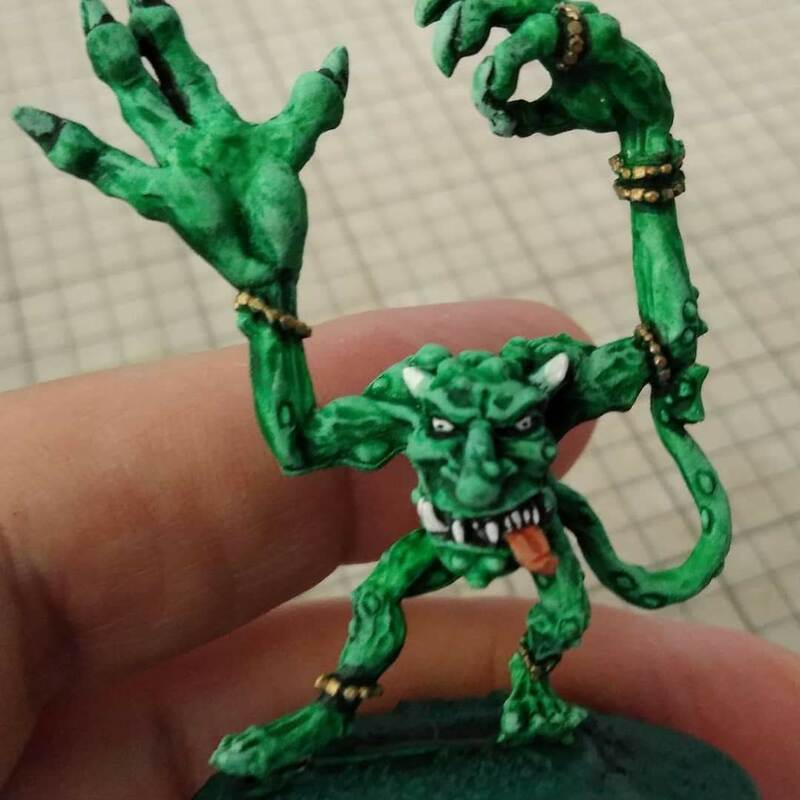 I don’t remember what they are called but they sure were easy to paint. 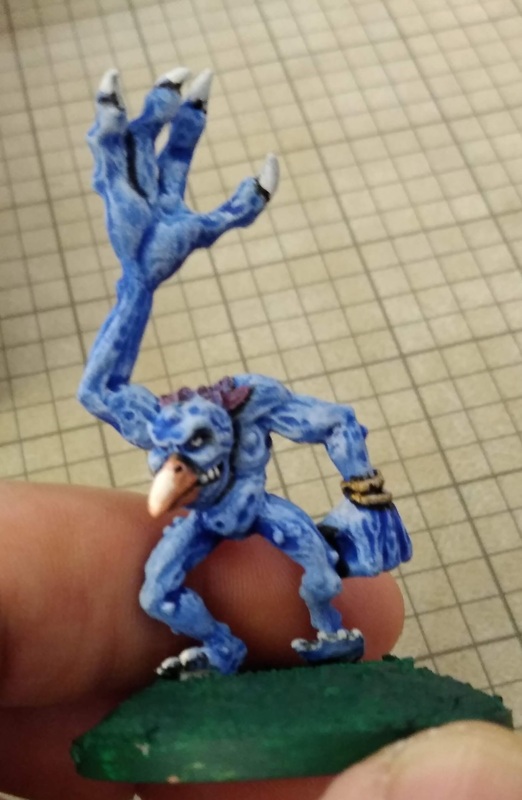 Nextly, some GW Horrors of Tzeentch. 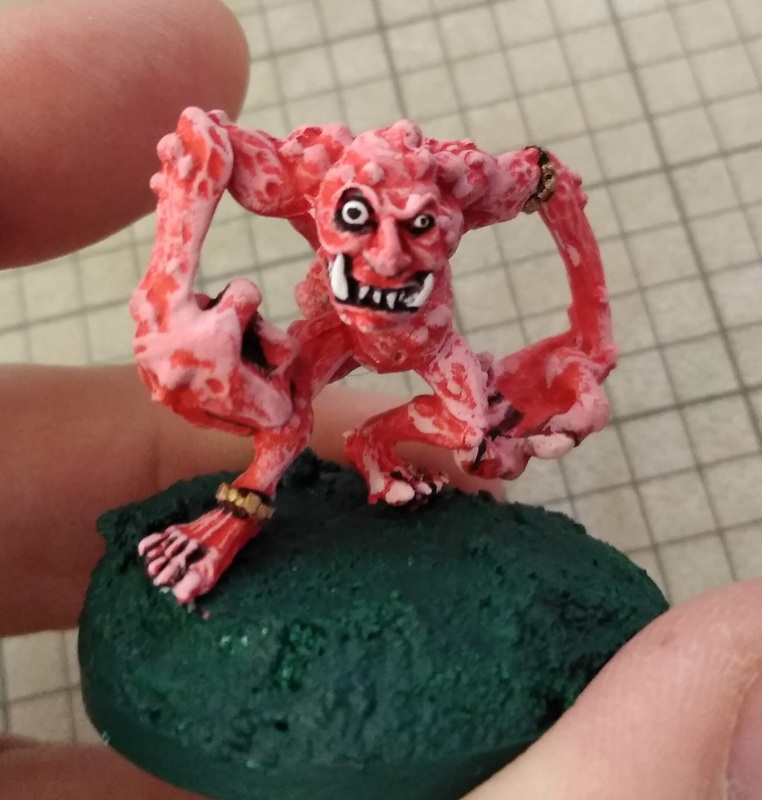 They should only be pink or blue per the Warhammer fluff but I thought I’d mix em up. A couple needed tails, which a cheap plastic dinosaur donated (one has the actual tail and the other has a leg as a tail). 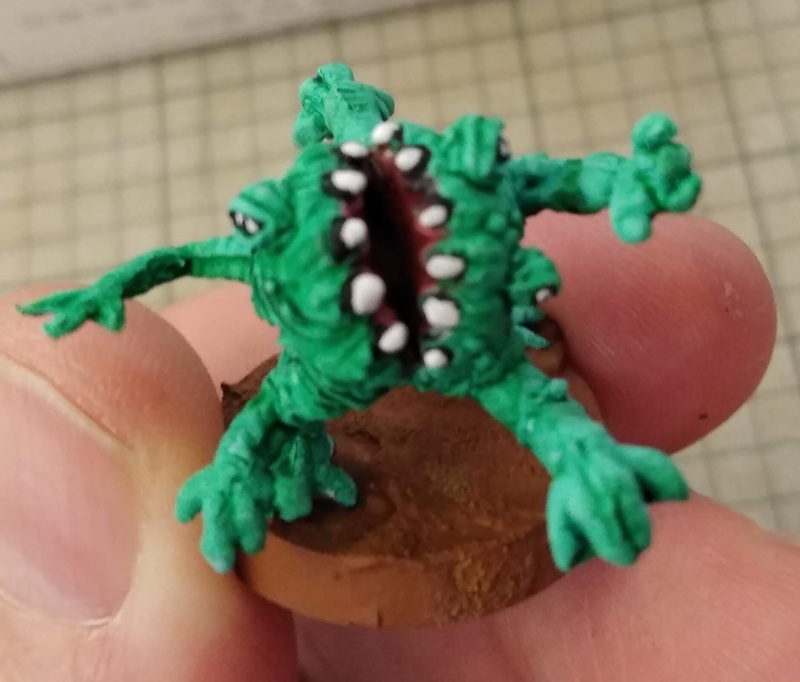 A WotC “ravening maw” is crashing their party too. The “musician” is easily my favorite. Very Boschian. Ole Birdy is cool too. Gotta love Pinky and his asymmetrical eyes. The maw was missing an arm, but a plastic dinosaur supplied a replacement. 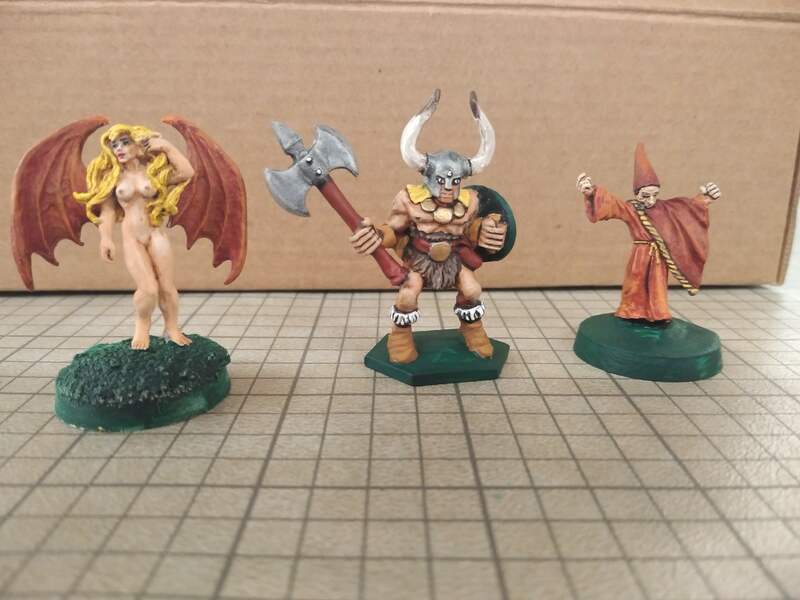 Finally, some random minis — a Reaper succubus, yet another plastic barbarian, and a really old Ral Partha necromancer.